GenRev UK is expanding its overnight delivery service to include delivery of parts to Smart Meter installation technicians and engineers! We saw an increasing need to deliver an in-boot service to a rapidly growing field of engineers and technicians. 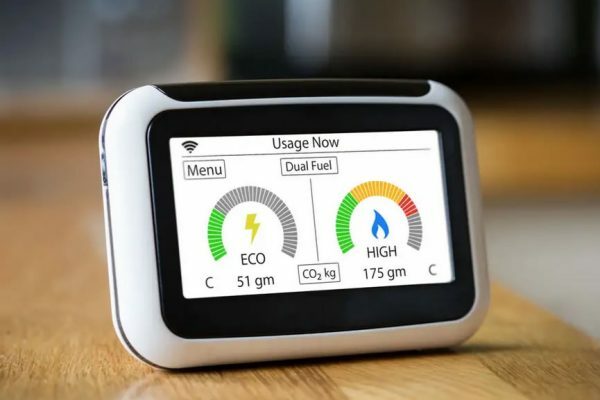 The UK government set a goal for every home to be offered installation of a Smart Meter by 2020. This means that every single major energy provider, from British Gas, EDF Energy, E.ON, Npower, Scottish Power, and SSE to all other energy providers including Telent, Providor, Activo, SMS Plc and Morrison Utility Service are required to offer each of their customers the installation of a Smart Meter to improve carbon emissions nationwide. There are an estimated 25 million households in the UK. The goal is therefore to offer 25 million Smart Meter installations in the next year! On a practical level, we realise that installations of the meters may continue for some time after this date. With this in mind, GenRev UK are keen to assist in the reduction of carbon emissions country-wide by means of their specialist delivery service. One of the key advantages to using in-boot parts delivery is the reduction in stress for the engineers and technicians working on Smart Meter installations. Retaining their base of trained engineers is a huge benefit to an energy company. In the words of E.ON, ‘the happier you [technicians] are, the happier our customers will be’ (E.ON Careers). Simplifying the role of the engineer and reducing the stress of their job will result in happier and more committed installation engineers! Another major benefit to an energy company using GenRev UK as a delivery service to technicians will be an improvement in their customer service. Customers are often advised to allow up to two hours for the delivery and installation of their Smart Meter by a qualified technician; see Ovo Energy’s advice to their customers for more information. Customers often plan their schedules around the installation appointment, so delays in arrival of late technicians can lead to unhappy customers. Getting specialist advice and assistance with parts delivery can reduce potential delays to the Smart Meter technicians. This increases customer satisfaction – less delays mean happier customers! Reviews and customer feedback are a huge factor in whether a new customer commits to an energy company. Online reviews can be really influential in the driving of future sales. GenRev UK assists in this process by lessening the probability of technician delays, mistakes in collection of parts and in disappointed customers. The result is happier customers, positive online reviews and increased reputation as a company. There are many benefits to working along with GenRev UK in streamlining the installation process. Happier installation engineers, better customer experiences, positive online reviews and a reduction in stress for employees. Not to mention, the major positive effect on the environment for using a delivery specialist to reduce carbon emissions. Find out more about our company commitment to the environment here. Please get in touch to discuss how we can assist your technicians! If you would like to see how GenRev UK could help your business reduce its carbon footprint, improve efficiency and save you money please get in touch via our contact page. Field Service Deliveries for On Site Technicians & Engineers – What Your Customers Actually Want? Why Choose GenRev (UK) Ltd Specialist Logistics?